Folk with a Rockin' style. If you like James Taylor, John Prine or Tom Rush you will love this CD. 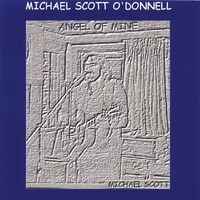 Michael is a singer/songwriter from the Boston, MA area. He was born in 1959. Michael took some piano lessons when he was 11, by the time he had turned 12 he had picked up the guitar and never looked back. In 1981, Michael got accepted to Gordon College in Wenham, Ma. for music performance. His High School grades were not the best but he was accepted into the program based on an audition for the director of music. Unfortunately due to unforseen circumstances he did not complete the program. Michael wrote his first song when he was 20. He writes his songs usually on guitar but he also writes using his keyboard. He has recently been performing his music live at coffee houses and bars.